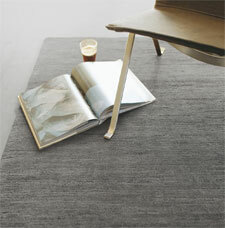 Yeti is a super luxurious range of semi-plain abrash wool rugs. Hand-knotted in Nepal, the rugs are super thick and super dense and will give that sinking feeling underfoot. In addition, the rugs feature a mottled effect, which mimics original hand-knotted pieces where impurities were a defining feature. Yeti is a simple collection of luxury rugs which are available in a multitude of sizes and are absolutely suitable for any room setting. Fabric: 100% Wool and Wool Blend.